I woke up yesterday morning ready to bounce. I had bounced my way into labor with Silas so I figured it was time to try again. Much to my dismay, the exercise ball we had at home had a hole in it. I broke out the duct tape, but to no avail. I had a meltdown. Yes, I cried. It's gotten to that point in the pregnancy where anything can set me off. (Please tell me someone can relate?) Thankfully Kevin was extremely sensitive, and we went out and bought a new one. 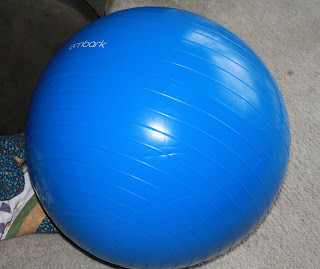 I do realize that bouncing on an exercise ball does not guarantee labor, but it's not hurting anybody so I'm gonna bounce! 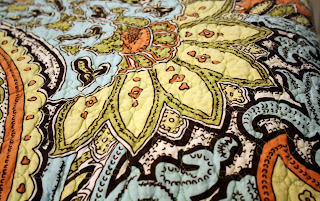 After running a few errands (including getting that exercise ball :), I came home to find the quilt that I had ordered for our bedroom a few weeks back. 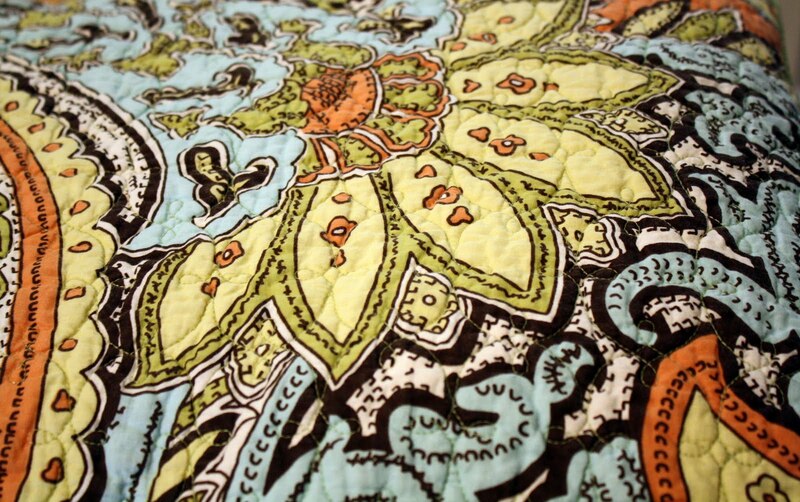 I love the colors and pattern. It brought a little sunshine to my day. Thanks, UPS man! During Silas' nap time I set off to get a pedicure. (Thanks, hubby!) It's really the perfect way to celebrate 39 weeks of pregnancy. I did the same thing during my 39th week of pregnancy with Silas (read that post here). This time I got the full lower leg massage- hot stones and everything! It felt so good on my swollen feet and ankles. For Silas' birth I chose red toes. Liam gets purple! When Silas woke up from his nap we spent some time outside. We made three pine cone bird feeders together. I had been wanting to make these with some of the pine cones Silas collected over the winter. It was a good activity to take Silas' mind off of his mouth sores. We hung them up in the trees, but so far no birds have feasted on them. Of course, the fact that it's raining this morning hasn't exactly lured the birds in. 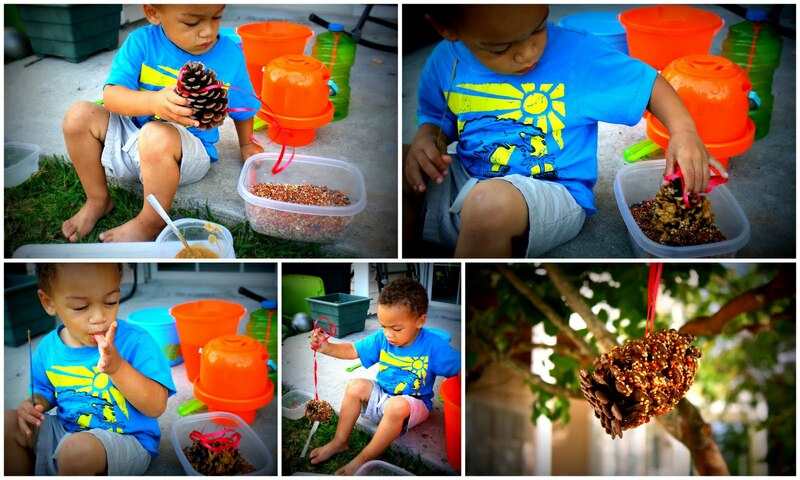 But birds or not, we still had fun making the bird feeders. We were supposed to go to story time this morning, but we opted to sleep in. I think the rain made us a little lazy. It should be a pretty low key day.